CHICAGO (WLS) -- Have unpaid parking tickets? You may be able to pay up without additional penalties under a new amnesty program proposed by Mayor Rahm Emanuel. The plan, which Emanuel says he'll introduce to City Council this month, would allow those who owe debt to the city an opportunity to pay face value without additional late penalties, according to a statement. Individuals or businesses that owe money for parking tickets, taxes or other violations from before 2012 would be granted amnesty for penalties; but amnesty will only be granted if payments are made between Nov. 1 and Dec. 15, according to the plan. Emanuel also says he plans to introduce a plan to allow motorists to enter payment plans online. 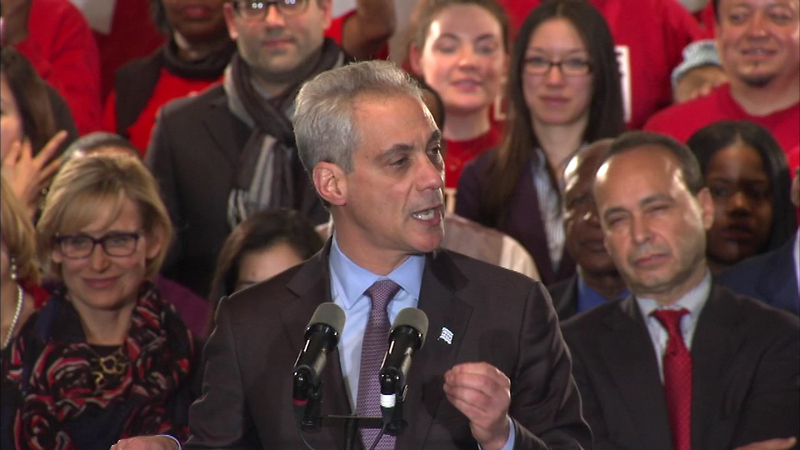 "The amnesty plan is part and parcel of the City's stronger scofflaw enforcement strategy that ensures those who owe debt to the City are paying their fair share," Emanuel said in a statement.